Museums are always filled with inspiration for any home decor lover. I decided to pay a long overdue visit to the Brooklyn Museum recently to snap a few pics and get inspired to freshen up my pad before spring arrives. Georgia O'Keefe's 'Brooklyn Bridge' (1949) topped off with Ray Komai's side chair (1949). This combo would be perfect for a home with a super modern design style. So apparently this is what a mantel from 1882 looks like. I also loved those candelabras. I'll take it all! This picture really doesn't do this "Iago's Mirror" justice. Designed by Fred Wilson, it's made of Murano glass and was absolutely stunning to see in person. On the subject of mirrors, I recently whipped up a sweet gallery wall in my living room and was so excited to see this one done with pretty mirrors and a few empty picture frames. Now this is proof that cool fabric can transform the most basic thing in an instant, and skateboards are absolutely no exception. I nearly passed out when I saw this Spacelander bike, which was designed in 1946/produced in 1960. It reminded me of how much I like hot pink, and so I'll definitely be on the hunt for a few accessories boasting this color. Nevermind that the color of the year is emerald. When entertaining at home, it's all about pulling out your very best serveware for guests to enjoy. 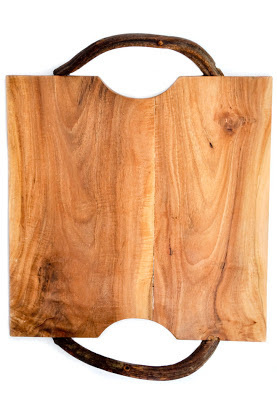 This Vine Handle Serving Board ($48) from Leif is exactly what I'd use at a gathering. The reclaimed wood board makes it feel rustic, but still tasteful enough to make any get-together feel super special. 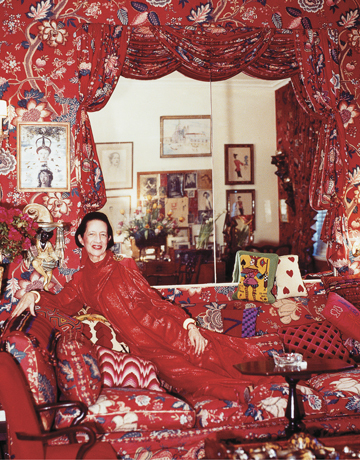 Don't you love this image of Diana Vreeland in her statement-making red room? I found this great quote from her on using the color red in her home. She said, "Red is the great clarifier - bright, cleansing, revealing. It makes all colors beautiful. I can't imagine being bored with it - it would be like becoming tired of the person you love. I wanted this apartment to be a garden - but it had to be a garden in hell." I love it! And if you're a magazine lover like me, check out her documentary called The Eye Has to Travel. She was a magazine editor like no other. 1. 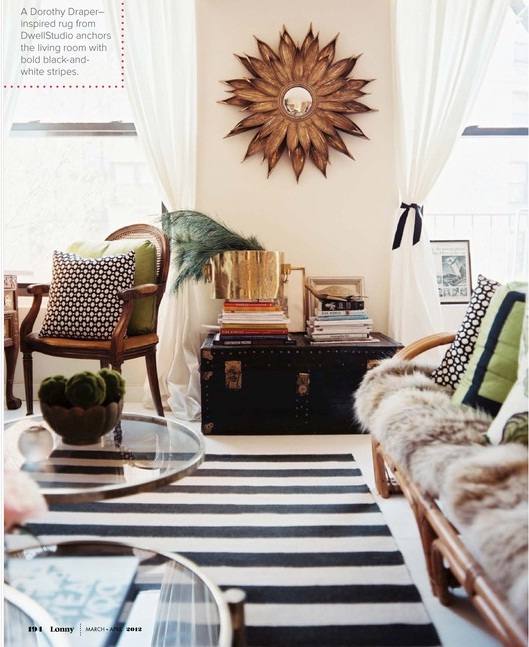 A black-and-white striped rug can help to anchor a room and add a great deal of energy to a neutral-colored space. 2. When using a rather loud rug, consider coffee tables with glass tops to avoid competition between the two. Let the rug make a clear statement. 3. 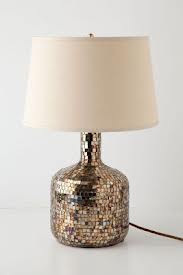 Brass accessories instantly add a feminine touch to a room. 4. A sofa with an antique feel can be modernized immediately with a little fur (or faux fur) throw. 5. Get creative by thinking of new ways to use things just as how the leather trunk in this image is the resting place for book stacks. 6. 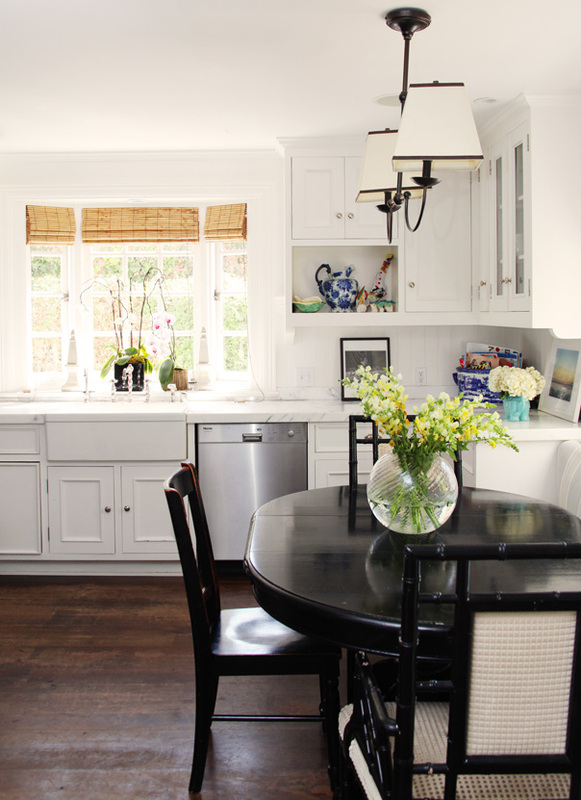 White curtains give a room an airy feel and are best for allowing natural light to pour on into a space. It's not too late to snag a Valentine's Day gift for that special guy in your life. Consider my finds. 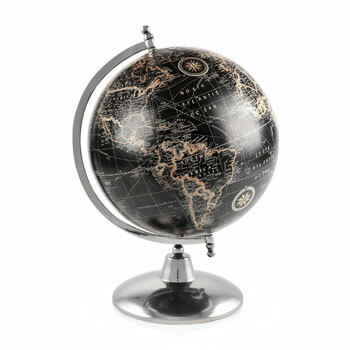 I've been on the hunt for a chic-looking globe for so long, and I finally found it at Zara Home. There was a globe in my parents' home as a kid, and I can remember spinning it forever and thinking about all the places I wanted to visit. Zara's $80 version here that's designed with a metal stand is just perfect because the black background makes it feel modern and would give it more of a presence when tucked away on a bookshelf, the corner of a desk or even on a stack of books. I just have to have it. It also comes in a lighter, natural color. Any lady would appreciate these stylish gifts for Valentine's Day. Who doesn't love following all the trends that come out of Fashion Week? The fashion and beauty ideas always get me going, but when little doses of interior design come into the mix I get even more excited. 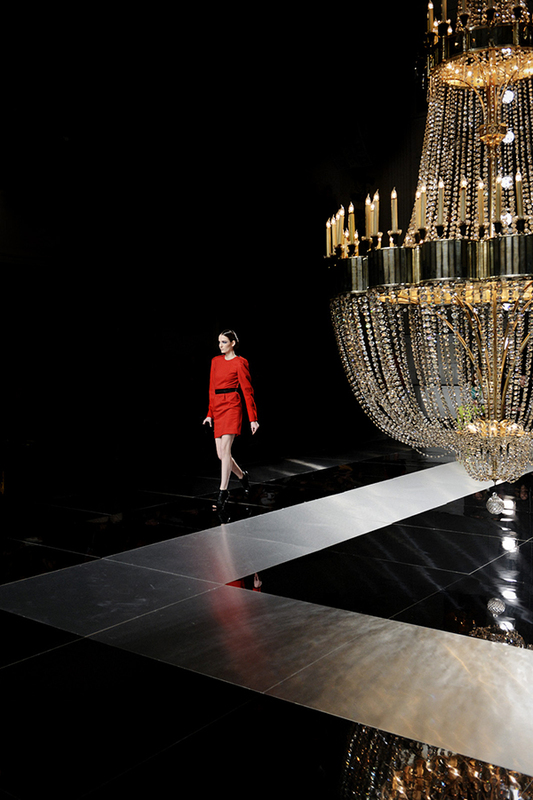 That's how I felt when I came across this cool photo on Refinery29 of the beyond gorgeous chandelier that took up much of the runway at the Jason Wu Fashion Week show in NYC. I'm all for a fashion designer who appreciates decor. 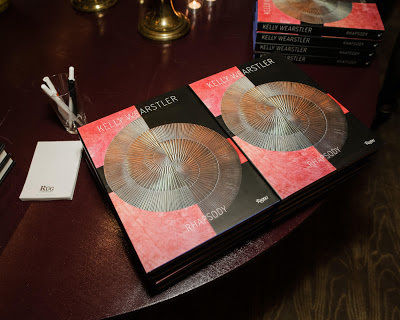 I'm so bummed that I missed last night's party for Kelly Wearstler's latest design book, Rhapsody. 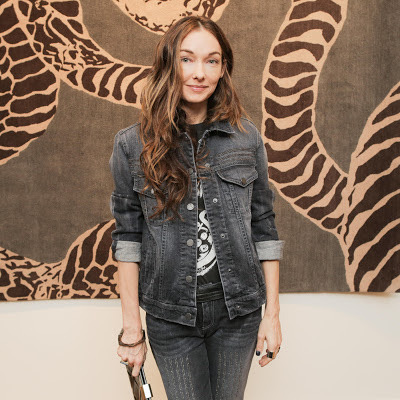 It was held at the Rug Company Showroom in NYC. 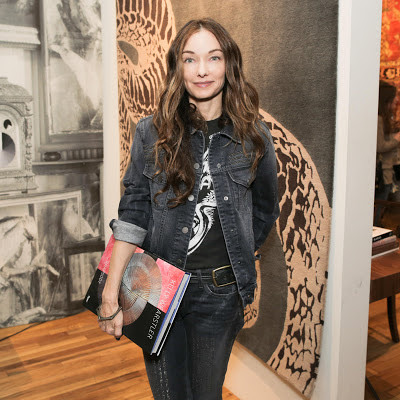 I'm looking forward to checking out the book, which documents her most recent residential design work and draws from her amazing blog, 'My Vibe, My Life.' Check out these fun pics from yesterday's event. Kelly Wearstler in all her glory. Now let's talk about that backdrop. 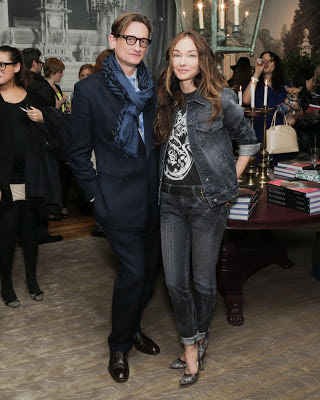 Kelly with Hamish Bowles of Vogue magazine. Image via Pinterest - by the way, this quote is from the accomplished neurosurgeon Ben Carson. Read his book Gifted Hands if you never have. A few weeks ago, I finally went ahead and condensed my book collection and was left with a heap of titles to give away. 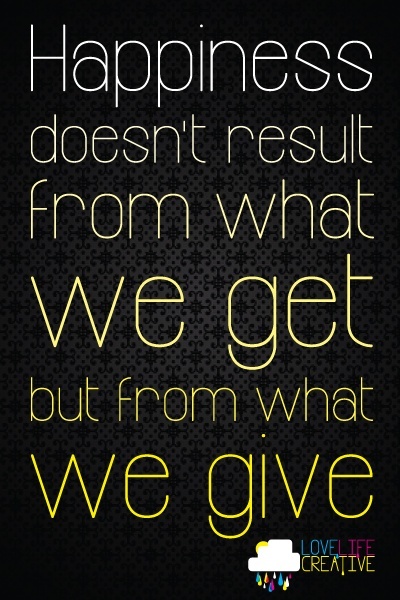 Giving always makes me feel amazing, and I can't wait to drop them off to my local Housing Works thrift shop. If you weren't aware, proceeds from its shops benefit people in need, including those affected by HIV and AIDS. (You can even arrange to have a furniture donation picked up from your home, which is so awesome). We all have things around our home that are no longer of use to us, so take the time to gather them up to be donated for a good cause. I personally like donating to Housing Works, and I also shop there from time to time. I've found some amazing pieces of furniture and home accessories at my local store. So although Housing Works is just one good option, with a little research I'm sure there are tons of other great organizations that could put your gently used items to work for the better. Design Sponge recently compiled a great list of places that accept donations and I find it to be very helpful. I recently professed my love for Le Catch, the fabulous fashion blog that former Lucky magazine West Coast Editor Marlien Rentmeester runs. She recently decided to leave her Lucky post to manage Le Catch full time (I'm squealing as I write this) and I'm all for it. 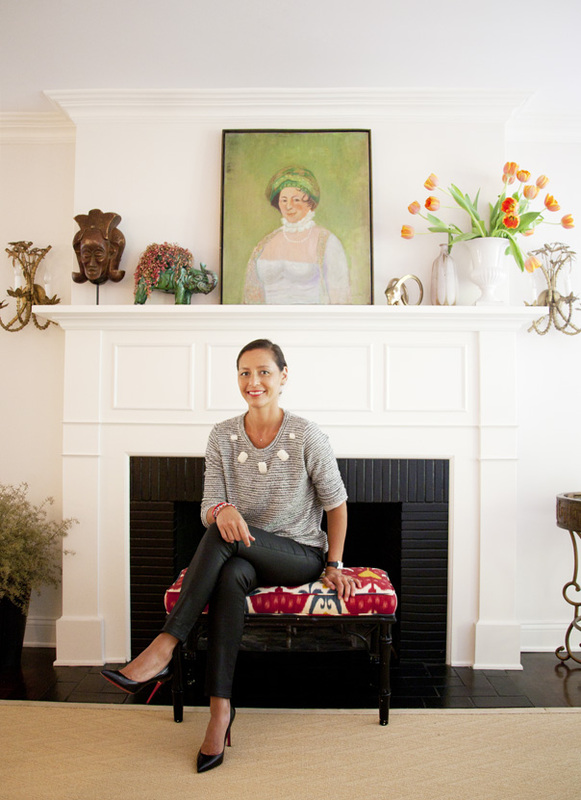 I read Marlien's blog just about every day and fell in love with her style even more after seeing gorgeous photos of her Los Angeles home on the Glitter Guide a while ago. I've been wanting to chat with Marlien about decorating for some time and I'm delighted to report that I recently had the chance to do so. Enjoy the interview. 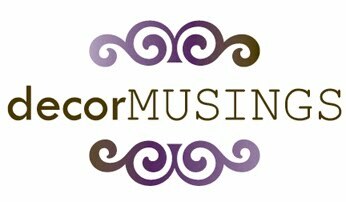 Decor Musings: What drives you to maintain your fashion blog, Le Catch? Marlien Rentmeester: It’s a labor of love and is almost like an addiction. All of us want to be on the cutting edge (of fashion) and in the know all the time and Le Catch provides that service. I curate and distill everything that is out there to the latest and the greatest so you don’t have to do that market search. DM: Coming from a fashion background, how did you grow to love decorating? MR: Decorating a room is almost like putting together an outfit. It's about proportion and matching colors and prints. MR: It is kind of traditional and classic with an edge. Everyone who comes into my office says it has an East Coast feel. There's the mixing of art, punchy colors, Chippendale chairs and tufted ottomans. DM: What was your approach to decorating your home? You worked with Hillary Thomas, correct? MR: Hillary is one of my best friends and we went down to Palm Beach and shopped at all the cool vintage stores. We bought 60 percent of the furniture for my house on that trip, and I don’t think I had even moved yet. The other great thing about having her is that she has all these fabric swatches curated so that whittled down the process for me. Ruthie Sommers also did a lot of stuff in this house. She totally fixed my dining room. I have vintage mirror panels that she designed and she also designed my dining room table. She was so generous with her ideas. DM: What is decorating a home all about for you? MR: It’s just about feeling comfortable in a space and being in a space that makes you happy. Sometimes there are living rooms that are so formal that you are afraid to sit on the sofa. I have two little kids so everything is kid-friendly and laidback. DM: Where do you shop for your home in New York and California? MR: I love Circa Who, which is a Palm Beach vintage store. I like 1stdibs, ABC Carpet & Home, Madeline Weinrib, Chic Shop LA, the Rose Bowl flea market and the flea market on 26th Street in New York. DM: What do you enjoy most about shopping at flea markets and what are your tips for navigating them? MR: I love the process of hunting and mining and finding gold at flea markets. Go early and don’t be afraid to get your hands dirty. Go find the truck and ask if there are more prints and pictures and things that haven’t been put out. I have been pretty successful with finds from art to fixtures and vases and pictures and trays. I have even gotten great outdoor furniture at markets. DM: How would you like to see Le Catch expand in the future? MR: I wake up in the morning with my heart beating fast, excited to get to work on Le Catch. The goal is to grow the readership and maybe have some guest editors weighing in on their Le Catch finds to have more voices in the mix. Apart from that, it's just to keep on keeping on. I also hope to get exclusives from retailers and designers and have my readers get first dibs on things. I am also working on a collaboration with an LA-based designer so keep your eyes peeled for that. DM: Do you read any design blogs regularly? MR: Apartment 34. She has a good eye — a fashionable eye. DM: Have you learned any lessons from blogging so far? MR: Having worked at a magazine for many years, it really is just staying true to your voice and being authentic. I don’t have any advertising on my site and it’s for a reason. I am only presenting what I like.